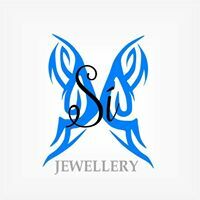 Hi, I’m Ailish From Sí Jewellery. Although I only took the leap of faith to officially start my business 3 years ago, I actually made my very first piece eight years ago! My son, Liam was travelling to the Kickboxing World Championships and I searched in vain for the perfect piece to give him as a good luck/ protective talisman so, I made the piece for him myself. It was a lovely little piece that did the trick, not only for Liam but my daughter Saibh also, and as time progressed parents from my kickboxing family asked me to make their child one and so on. That’s is how I started my business. My Pieces are designed and created not just to be aesthetically beautiful, but to offer inspiration, comfort and love to those who wear them. I absolutely love when I get a call or a message from a potential customer who has an idea of what they would like to be made, and I can convert the exact idea they had in mind onto a gorgeous custom piece. Nothing makes me happier, I love what I do.